Data storage is extremely important to us now as a lot of our work is now done on computers. Juggling such a huge amount of data is extremely difficult and often we have to carry around an external hard drive. Cloud storage is always a suitable option if you want to manage your data in a responsible manner. However, often with cloud storage there are problems of sharing data and limited storage space. Not to worry Degoo premium solves this problem. 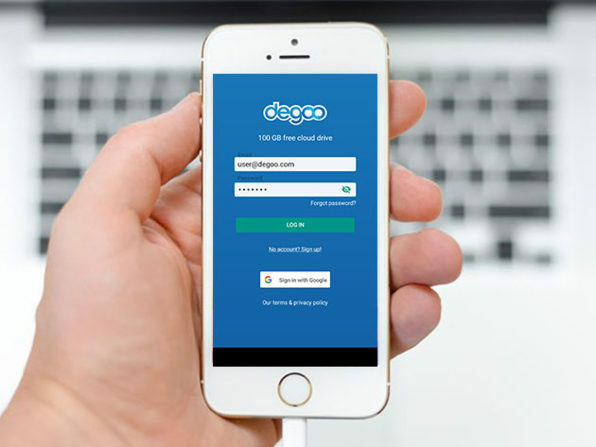 Degoo premium offers you a very suitable cloud storage plan. You will get 2TB of secure cloud storage and you can even share and manage files easily. Degoo offers more storage than Dropbox, OneDrive, and Google Drive combined so you will definitely love it. Degoo Premium is compatible with computers having Windows XP or later, Mac OS X 10.7 or later, iOS 10 or later and Android 4.1 or later. The best thing is that you can have lifetime access to the cloud storage just by purchasing it once so it’s a good investment. You must redeem within 30 days of purchase. So are you worried about losing your hard drive or worried about losing your important data? You won’t have to worry about this anymore if you just visit the site and purchase Degoo premium.